This fun 2pc pajama set features an all-over print in athletic astronauts. 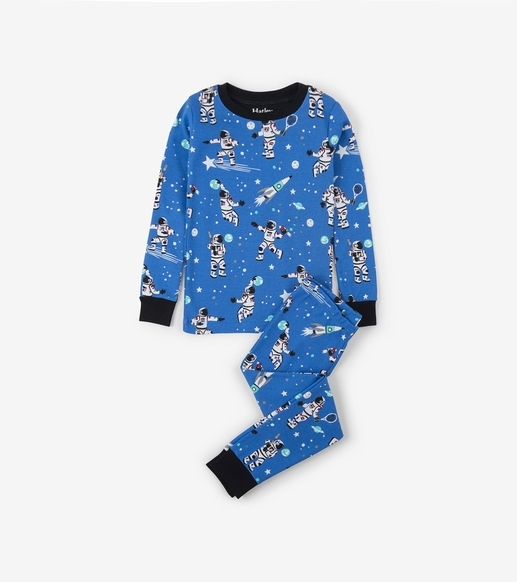 These will quickly become your child's favorite pj's as they also glow-in-the-dark! All pj's are made of 100% organic cotton by Hatley.